1. Happy New Year. Its hard to believe 2015 is already here, but this fact reminds us once again that the forward march of time is relentless and time runs backward only in our imagination. History, nevertheless, still defines us with each new minute, new day, and new year serving as a watershed framing the past and future. This new year of 2015 is a significant watershed for everyone who will reach a milestone age in it, whether 40, 50, 60, 70, or even more years having enjoyed the contingencies of genetics, circumstance, modern health care, physical safety, and luck. As I begin the year at a significant personal watershed Gary Faerber is already in place as Acting Chair, following the previous turns of John Wei and Stu Wolf, who then returned to their roles as Associate Chairs with quantum leaps in knowledge, talent and leadership for the department. When Dean Jim Woolliscroft and I set up this experiment in leadership succession a few years back, I had no doubt it would be successful, but hardly imagined the great degree of success. Leadership is something everyone provides at one level or another in our organization, as well as within their families and communities. Leadership is a focus for us in our department, and certainly no less in the rest of the university from our valiant football team among the other athletic programs, throughout the 19 schools and colleges, in the Musical Society and a myriad other parts of the UM as it approaches its bicentennial. No one, even among the overpraised CEOs who write best-selling memoirs, is a perfect leader at every challenge in their life and career. Published perspectives, naturally tend to be self-congratulatory vignettes of successes, usually with sparse mention of the shoulders of giants on whom such leaders have stood. Plenty of more general leadership books are available, a few of them worthwhile, and you can always discover more about the topic if you are intent on developing your skills. The best way to learn, I believe, is to take the initiative yourself and try to lead wisely, be self-critical and learn from your mistakes, as well as to learn from the examples (successes and failures) of other leaders. We have some fine role models among us in the Medical School and Health System as well as within our professional peers elsewhere. Flawed examples of leadership (sometimes found in our own mistakes) offer equally valuable lessons. 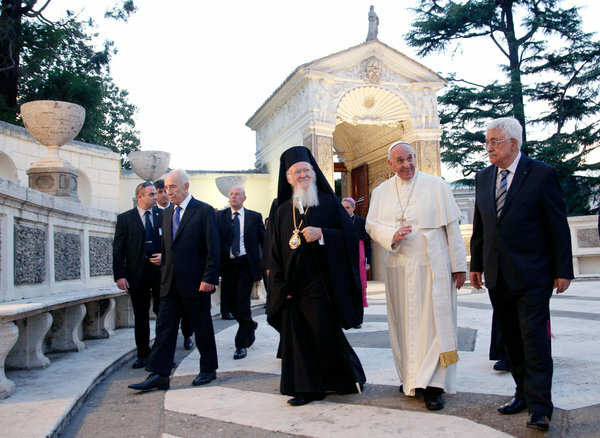 On the national and international political scenes noteworthy leadership seems sparser. Looking back to the 20th century only rare great examples come to mind. 2. WSC 1874-1965. It was 50 years ago that Winston Churchill died having reached 99 years of age in spite of innumerable bullets, cigars, prodigious quantities of food and drink, to say nothing of his determined political adversaries. His death in 1965 was a significant watershed – few people have so completely and uniquely altered the course of human events as did Churchill, on a number of fronts including 2 World Wars. Admittedly a Churchillphile, I nonetheless recognize his many imperfections, yet he was the perfect man to rescue the course of history from catastrophe. You can expect a number of new books published about him this year and one of the first of these is by Boris Johnson, the mayor of London. Many biographies and studies of Churchill have been written (and at least a dozen fill my shelves), but Johnson’s The Churchill Factor occupies a unique niche offering a timely analysis of Churchill’s impact on civilization. The world would be very different today had it not been for Winston Churchill. Someone other than Gutenberg would have figured out the printing press, and the same goes for the contributions of Columbus, Watt, Darwin, Lister (eventually! ), Ford, Gates, and most other innovators. Only a rare few individuals have turned the tide of world events so positively and against such great odds. Without Churchill the second half of the 20th century and probably these past 15 years into the 21st would have been very dark times. Amazingly he was around 70 years of age when his greatest tests presented themselves. 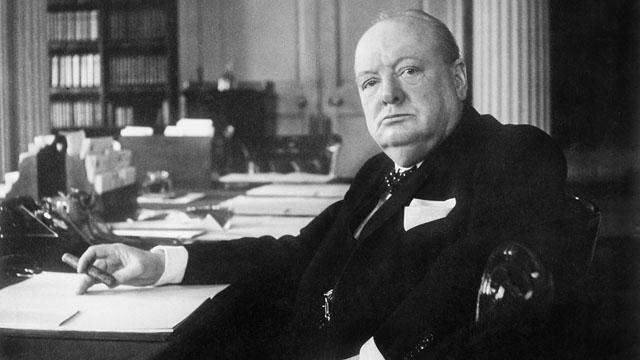 It is inconceivable that World War II would have turned out as it did without Churchill. 3. Impact. None of us is likely to have impact of Churchillian proportions, but that’s not to say that as individuals we are not serious about making a difference. At any watershed moment each of us is likely to question “the meaning of life.” I recently listened to the audiobook autobiography of the controversial evolutionary biologist Richard Dawkins wherein he said something to the effect that “Intelligent life only comes of age when it works out the reasons for its own existence.” [Had I read the actual book I could be more precise and reference a specific page; whether you agree or disagree with his theological viewpoint, his evolutionary biology contributions have been significant.] All life forms struggle for their survival searching for a difference, whether a favorable environmental differential, a nutritional differential, or a reproductive differential. We humans share this biologic imperative of curiosity to discover favorable niches, but our drive goes further into the superorganism of our civilizations in that we want to “make a difference” in the social sense. For many people this drive is satisfied by a sense of being taken seriously, wanting our opinions to matter to others. For other people this drive is expressed in intense ambition to invent, create, build, or help others. The individual need to make a difference is part of the rich fabric of sociobiology, allowing brilliant flashes of greatness such as Churchill in his day and Pope Francis now in our time. The Pope’s extraordinary Christmas message last week to the cardinals and bishops who make up the Roman Curia, could apply equally well to any large organization. Francis warned against endemic “spiritual diseases” of bureaucracy including the pathology of power, the temptation of narcissism, cowardly gossip, and the building of personal empires. His courageous and unprecedented speech hinted at the darker side of sociobiology, namely the innate tendency of any social group (political, religious, ethnic, or national) to be manipulated by a single autocratic leader or inner circle of leaders toward ends inimical to the larger shared values of not just the particular social group but to humanity at large. Pope Francis is one of the rare leaders with the credibility and force of character to bridge disparate factionalisms within his organization or in the larger geopolitical world by appealing to a human commonality. With all the problems in the world, you might think we are overdue for a few more extraordinary leaders like Churchill and Francis. 4. Sociobiology and mission. The idea of sociobiology, initially postulated and named by E. O. Wilson, recognized that a very few species – humans among them – have achieved a superorganism structure wherein individuals spend their lives to support the objectives of larger social structures of teams and societies. He called these eusocial species. Humanity alone, however, has been able to articulate social objectives, create principles and working rules for their deployment, and produce functional models of government. Our work in the Department of Urology of the Medical School within the University of Michigan, while minute in the grand scheme of things, fits in perfectly within the sociobiology framework. Like any individual, any team, or any large eusocial unit we are subject to the same evolutionary pressures of maintaining relevancy and preparing for the changing environments of tomorrow. We spend significant time in our Department of Urology considering and reconsidering our mission. While I don’t believe a leader should tell any organization its mission, I do believe that a leader should help the organization articulate its mission as well as keeping it lively in the work, plans, and lives of its stakeholders. Our mission of Michigan Urology is centered on health care: teaching it, doing it, and making it better. It boils down to this essential deliverable: KIND AND EXCELLENT PATIENT-CENTERED CARE THOROUGHLY INTEGRATED WITH INNOVATION AND EDUCATION AT ALL LEVELS. We mean it and we believe in it. Our mission here goes deeper than those specific words. We are a great public university with a medical school influential in the story of modern medicine. Our urology unit has provided many of the best ideas, techniques, and leaders of our field for the past century. I can point to strong evidence of our successes in the weekly “What’s New” electronic communication that John Wei coordinates for our department that you can find on our website. 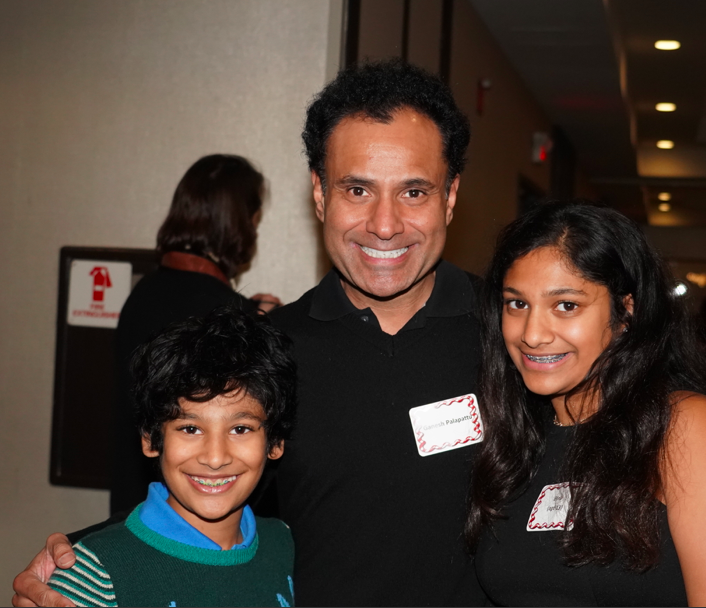 When you really consider our mission, you might recognize that our mission is to provide for tomorrow – the tomorrow of our patients, our students, our residents, our department, our faculty and staff, our community, our field, our children, and our species. We thus fit very neatly in the milieu of a university – universities exist to make tomorrow better. No organization in human civilization aside from universities has carried out this specific responsibility of preparing for tomorrow, year after year, decade after decade, and century after century. In the daily struggles of finances, politics, governance, and crises most universities plod ahead – it is their nature to be conservative – doing their work well enough although below their potential to build that better tomorrow. 5. The future. Imagining the future is also a task of art and fiction. The Time Machine of H.G. Wells, the stories of Jules Verne, Orson Welles’s War of the Worlds, and for our present generation the Back to the Future film trilogy are stories that resonated with me on the back end of my present watershed. The first of the trilogy was set in 1985 and it imagined a future set in 2015. In that future the gimmick that made time travel possible was a plutonium-fueled flux capacitor (which needed a jolt of lightning to start it when Marty went “back to the past” in 1955 and he couldn’t find plutonium). Going forward to the future, however, the flux capacitor’s energy required only household waste in a commonplace “Mr. Fusion Home Energy Reactor” in 2015. We aren’t at that point yet in terms of energy production, but since we can imagine a Mr. Fusion Reactor, it seems likely someone or some team will eventually solve this existential problem. Back to the Future excited the public imagination to the extent that it was the largest grossing film of 1985. I loved it, my kids loved it, and my grandkids love it. What are the counterparts of the Mr. Fusion Reactor for urology, or for health care in general? Perhaps the best insights for this will come from people writing imaginative short stories. 6. Predictions. Yogi Berra allegedly said: “Its tough to make predictions, especially about tomorrow.” Each New Year is full of promise and challenges, some expected and others unexpected. If we could spot the specific key threats and opportunities right now at the start of the year and plan around them we could take those plans to the bank, as they say. While we don’t have the gift of foresight or the mythical “Gray’s Sports Almanac” that was central to Back to the Future Part II, we still could make some good guesses. If, for example, we knew a large asteroid was headed our way (another theme explored in the cinema) we might take steps to ameliorate it. Or if we knew an Ebola-like disease were likely to become epidemic we might create a vaccine and public health measures to manage it. (Remarkably we’ve known about Ebola since 1976, but somehow were unprepared for it last year.) It’s not always as tough as Yogi thought. Even without Grays Almanac we can make serious bets and useful decisions. We actually have figured out some forms of time travel of which astronomical sciences and space probes are outstanding examples. You might consider literary science fiction a form of hypothetical time travel to the future. 7. Challenges 2015. What will be the immediate challenges for Michigan’s Department of Urology in 2015? At the top of my list is the matter of struggling to stay afloat economically in a punishing economic milieu. We have around 30 clinical faculty doing the actual clinical work that 16-17 full-time clinicians could perform, and doing that work at the top of the game. Why is this? The answer is that, as faculty members in a university, our non clinical moments are spent in educating the next generation, expanding the conceptual basis of urology through investigation, supplying a large amount of administrative expertise and effort to run our heath system, and leading regional, national, and international organizations relevant to urology. The fiscal problem is that even at best these other tasks that are so essential to our missions have zero to only fractional revenue streams to support them. Clinical dollars have made the academic missions possible, but those dollars are shrinking under ruthless pressure. Our aggregate faculty carries a phenomenal portfolio. As the person tasked with paying the bills I am challenged in recruitment and retention by more generous compensation schemes at most of my peer institutions. Like most of my fellow chairs, I face inimical wealth redistribution from the heath system to our greater university, the inefficiencies of our own hospital (as a patient here myself while I had great care from individuals and teams, I also experienced a number of disconnects that Ritz-Carlton might consider rookie errors in the hospitality business), and severe facility constraints based on 20 years of inadequate strategic planning and execution. Maybe with a new university president and EVPMA in addition to a restructuring of our health system governance and management we might finally get things right. Do the new leaders recognize that the key to success for a great academic health care enterprise is (first and foremost) great clinical care? On the forward side of this immediate watershed the winners in health care (the best of class survivors in the Darwinian sense) will be the few places that offer unsurpassed state-of-the art clinical care with the best outcomes, safety, patient experience, employee experiences, lean processes, educational outcomes, research productivity, and successful fiscal spreadsheets. If the new leaders are not evangelically wed to this belief and fail to elicit the wisdom of crowds and the opportunities of lean processes, success will slip further and further away. The single large success I believe we can claim over the past decade here at Michigan has been the Faculty Group Practice, led by David Spahlinger. We are now poised to re-structure and expand it into the University of Michigan Medical Group. Will this new format embolden us to find opportunities to reinvent and optimize healthcare in 2015 or will we continue to struggle to stay in the game? I for one favor the former scenario – after all we call ourselves leaders and best? I believe 2015 is now or never for us. 8. A watershed molecule. 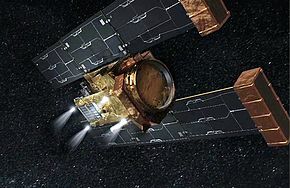 Eleven years ago on this day (the leap year 2004) the spacecraft, Stardust a 300 kg robotic space probe launched by NASA in 1999, successfully flew past Comet Wild 2, collecting cosmic dust samples from the coma of the comet. Wild-2 is as old as the Earth and was discovered in 1978 by Swiss astronomer Paul Wild. 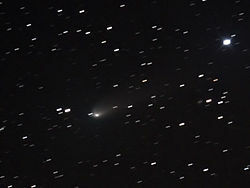 For most of its time the comet orbited the Sun in the far reaches of the Solar System until 1974 when its orbit was changed by the gravitational pull of Jupiter bringing it just inside the orbit of Mars on its closest approach to the Sun. Its orbital period has thus gone from from 43 years to six years. Wild-2 has a 5 km diameter that wouldn’t do us much good if it came much closer to Earth’s celestial path. Stardust fulfilled its mission and returned to Earth in January 15, 2006 with its samples. Initial findings of the analysis were published in papers in Science in December, 2006. Analysis of the comet’s dust by a mass spectrometer on board revealed, among other things, glycine – an amino acid of great importance. Among the 23 proteinogenic amino acids, glycine is not only the smallest, but an organic chemist might consider that it is the smallest one structurally possible (it has a molecular weight of only 75 and its codons are GGT, GGC, GGA, and GGG). This is also the only non-chiral amino acid. Most proteins have only small amounts of glycine, although collagen consists of about 35% glycine. A science fiction writer might conjecture that this was a watershed molecule between simple cosmic elemental combinations and the complex organic structures that comprise the building blocks of life. What glycine was doing in interstellar space boggles the imagination, but it fuels the belief of many that building blocks of life came to Earth. Water was also discovered among the comet’s bits of dust, although that was expected. To analyze the interstellar dust further, one million photographs will ultimately image the entirety of the sampled grains. The images will be distributed to home computer users so they can aid in the study of the data using a program titled, Stardust@home. 9. What’s New – reprise. Early in Y2K when I was working in Allen Lichter’s Dean’s Office, we began a monthly email to all the medical school faculty that we called What’s New. The belief was that some occasional, constrained, predictable, and enumerated communication to the entire faculty might be useful, interesting to some, and preferable to a constant stream of regurgitated and often random messages of deemed importance. When I became chair of urology we produced a weekly What’s New for faculty and residents, with only very rare other communications. This went out every Friday. In time I began to distribute the first of these editions on the first Friday of each month to our entire staff, Nesbit alumni, and friends of the department. As the email chain got a little tricky to manage I learned to set the first Friday What’s New up as a blog that we call Matula Thoughts. It has been a learning process and it still is a work in process. John Wei, as Associate Chair for Communications, manages the 3-4 other What’s New columns every month and usually has someone or some unit within our department “guest edit” each of these. He has innovatively added a little query to each issue to test the waters of opinions within our department. If you ever want to roll back the pages of time for Michigan Urology since 2007, you can find old editions kindly archived by Rick Saur. 10. Matula Thoughts – going forward. You may fairly view What’s New and Matula Thoughts as displays of vanity. On the other hand, don’t we all want to believe that our thoughts matter to others, and in setting them down and presenting them in the public marketplace of opinions we shape them, we refine them, and we test their value (and by their proxy, our own individual value). For me to some extent, these columns have become forums to comment on phenomena, questions, papers, books, or events that I think are worth your consideration. Equal rights to thought-sharing is a fundamental basis of any democratic society, or indeed the basis of any highly-performing team. We set up these little forums of What’s New and Matula Thoughts not just as our departmental soap-boxes, but as a venue for others such as you in which to participate. What’s New is sent out by email to around 550 people, whereas Matula Thoughts, the blog version that we have been struggling to master, is picked up by a much smaller but more diverse band of readers. 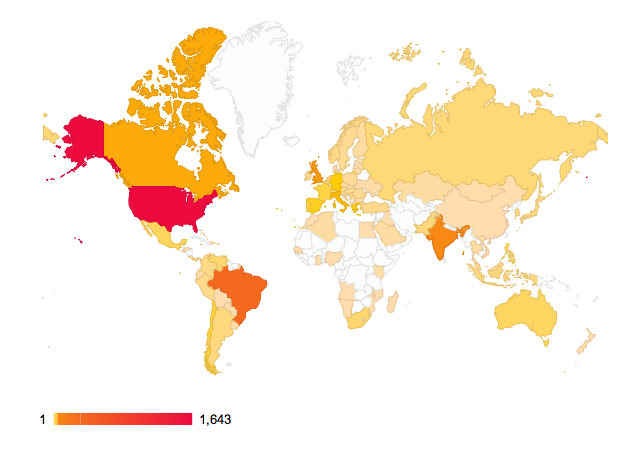 Even though the blog version has only a small readership at this point in time, we can track it and have found a surprisingly wide international reach as the screen shot above shows. [I took this December 28 from the WordPress statistics page for Matula Thoughts] The Canadian readership may be huge in terms of geography, but I doubt we actually have many Inuit readers. We invite (indeed, we often cajole or nudge) others onto these electronic soap boxes each week. It is has been said that some professions attract people with extreme forms of narcissism, politics and professional sports being notable examples. Surgeons probably belong closer to one end of the spectrum than the middle. Yet we humans are all necessarily narcissistic to some extent, and the need for the interest of others, if not their admiration, is perhaps a surrogate for our very basic desire for personal relevance and meaning. Of course extreme narcissism, in its sense as a personality disorder (an interesting term in itself, for what is it, after all, that constitutes an ordered personality?) is the overwhelming need for admiration paired with a severe lack of empathy toward others – the antithesis of a good clinician. As physicians and surgeons, as faculty and staff, as nurses or PAs or MAs, as colleagues and friends we all reverberate to the belief that our thoughts matter and therefore, of necessity, the thoughts of others must be heard and considered with the same relish that we offer our own. So with that last thought at this watershed moment, Happy New Year, and good luck to us all now that we are back to the future in 2015.